Your bills don’t stop accumulating when you’re pursuing a personal injury lawsuit for injuries or wrongful death. There’s a common saying that most people are just one auto accident or one severe injury away from bankruptcy. The medical costs alone skyrocket seemingly as soon as you walk into a hospital. Many other expenses accrue due to these injuries or the loss of a loved one including physical therapy, home modifications, burial costs, and everyday costs of living, which is why pending settlement loans can be helpful. 1. 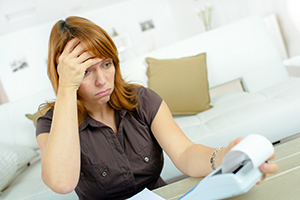 Understand the Total Costs of Your Pre-Settlement Loan. Be wary of companies that are not upfront about the interest rates and other associated fees of cash advances on pending lawsuits. Legal Capital Corp, for example, places a cap on the fee plaintiffs pay when their settlement comes through. If your case is settled within the first nine months, you pay a flat, $600 fee, and cases resolved after that time frame pay no more than $1,500 regardless of how many years the case takes to resolve. Many companies base their pending settlement loans on high-interest rates that could have you paying double or triple what you borrowed from the institution to begin with. 2. Brokers Often Create Unnecessary Complications. Going through a broker for your pre-settlement cash advance may seem like a good idea as you’re dealing with a specific person instead of a broad range of employees at a settlement lending company, but the third-party involvement may create unnecessary hurdles. The back and forth will eat up the valuable time your attorney has to spend on your case through paperwork and repeat phone calls. 3. Talk with Your Attorney About Pending Lawsuit Loans First. The process will go much faster if you approach your attorney about your plan to pursue pre-settlement funding for your ongoing case. Your attorney may have advice on what company to approach or may partner with a lending company already. That way your lawyer isn’t blindsided when he or she gets the call from Legal Capital Corp about case details. Your attorney will be prepared and more likely to move the process along. Legal Capital Corp doesn’t ask for extensive documentation before approving or denying your pre-settlement cash advance. All we need are a few key documents, and we decide whether or not you’re approved immediately, giving you cash in hand within 24-48 hours. However, we can only go as fast as your attorney allows because we do need to speak with him or her first. 4. Know the Value of Your Case and Cash Advance Limitations. The goal of pre-settlement cash advances is to help you get through day-to-day life without missing vital payments such as rent, mortgage, heating, electricity, and the ability to buy necessities. The typical amount plaintiffs receive in pending lawsuit loans is equal to about 10-20 percent of the case’s estimated value. Legal Capital Corp offers these modest loans at a low, flat-fee because we understand how much auto accidents, medical malpractice, product liability, and other common personal injury accidents impact every aspect of your life. Our cash advance process at Legal Capital Corp is straight forward: Apply using basic information, we contact your attorney, decide on approval immediately, and issue the pending lawsuit loan. If you or your attorney has questions, please contact us today at (312) 204-7939. Legal Capital Corp provides pre-settlement loans to clients across the nation and in Chicago, Illinois.